Paschim Banga Gramin Bank (PBGB), Head Office Howrah, West Bengal , A Government of India Enterprise, invites Online Application from Indian Nationals for appointment to the post of Officer in Middle Management Grade (Scale II), Officer in Junior Management (Scale I) Cadre and Office Assistant (Multipurpose) . Interested and eligible candidates who have appeared at the Common Written Examination for RRBs conducted by IBPS in September 2012 and declared qualified. At present the total starting emoluments are approx. Rs. 37917/- per month inclusive of DA & HRA at the current rate. At present the total starting emoluments are approx. Rs. 28340/- per month inclusive of DA & HRA at the current rate. 1. Candidates are required to apply online through Bank’s website www.paschimbangagraminbank.com between 27-08-2013 and 11-09-2013. No other means/ mode of application will be accepted. 2. Candidates should ensure that their personal email ID (as specified in the online application form while applying for RRBs- Common Written Examination CWE conducted in September 2012) is kept active during the currency of a recruitment project. 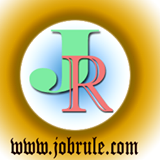 Bank may send call letters for Interview etc. to the registered e-mail ID.